The Artistica Home 2030-952 Tate Spot Table is available in Hickory Park's, North Carolina Furniture Galleries. Hickory Park may be restricted from showing prices, however please select the Click For Quote button and Hickory Park Sales and Design Staff will reply or please call (828) 322-4440 for more information. 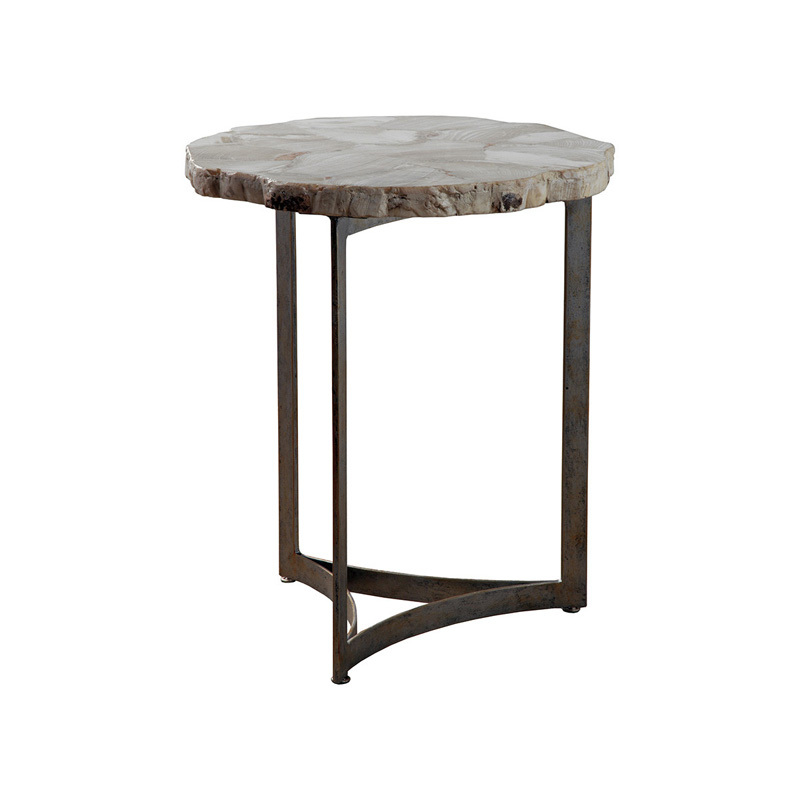 Hand-forged iron base in an antiqued iron finish, fossilized clam veneers over cast top with faux live edge. The fossilized clam shell will vary in appearance from piece to piece. Click here to receive price quote for Spot Table 2030-952 item.